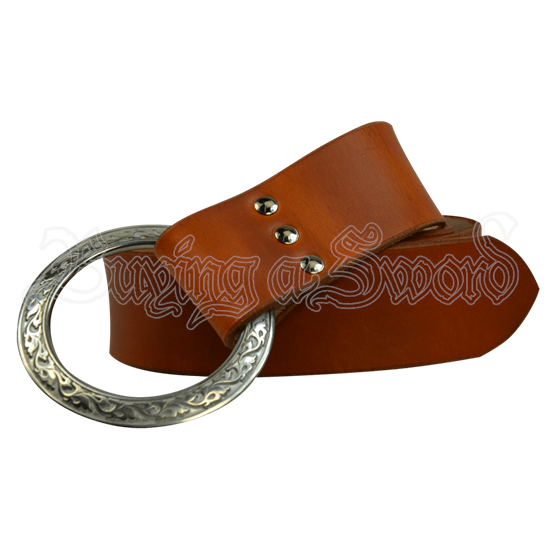 This 2 inch wide ring belt is available in black, brown, red, green, or blue and features a silver engraved O-ring. It is suiting for thy noble lord or lady! 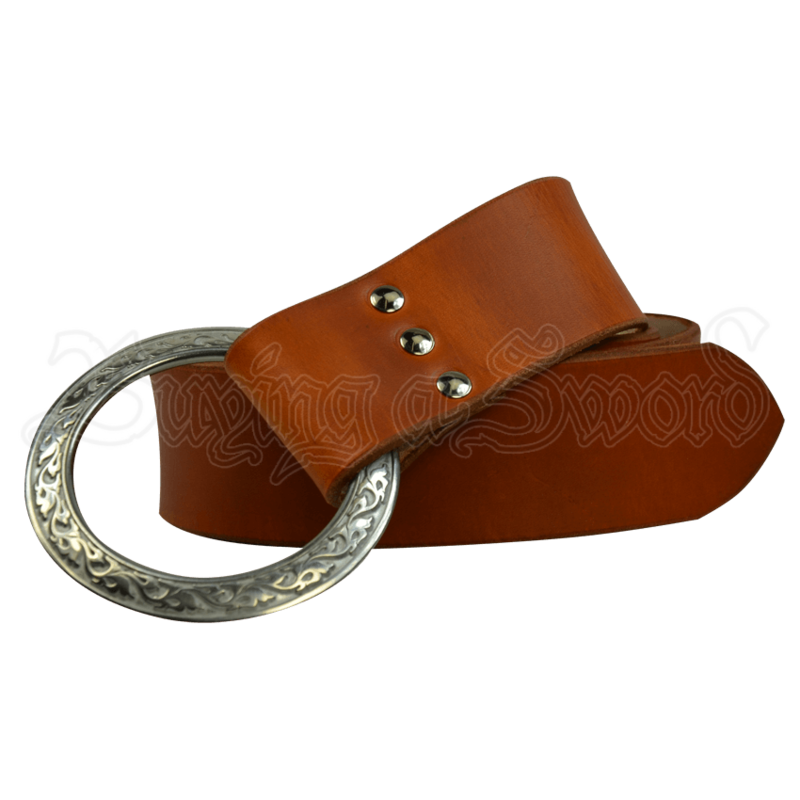 This belt is available lengths of 60 inches or 72 inches.